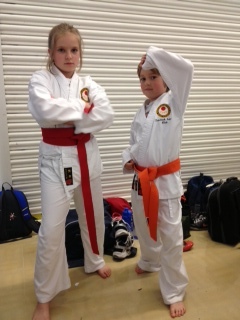 In December 2012 the McCarthy family discovered the SSKA Kendrick karate club in Reading. This came at a time when they were looking for ways to increase their children’s (then aged 6 and 9) confidence, self-esteem and ability to defend themselves in the no matter how unlikely event of being in danger. Following a brief conversation with Sensei Tracie Quelch the decision made itself and the children started straight away. Both parents agreed that if their children demonstrated a keenness to learn and succeeded in grading for their Orange and Red belts (9thand 8th Kyu respectively), they would also both join. As a result of their success and the high praise that their children’s heaped on the SSKA Instructors they took the plunge and in June 2013 the McCarthy parents joined Kendrick, following in the wake of their children, progressing steadily through the Kyu grades. From their perspective, it was inspiring to learn from their children and watch them grow in maturity and also mindfulness…great traits for leadership! 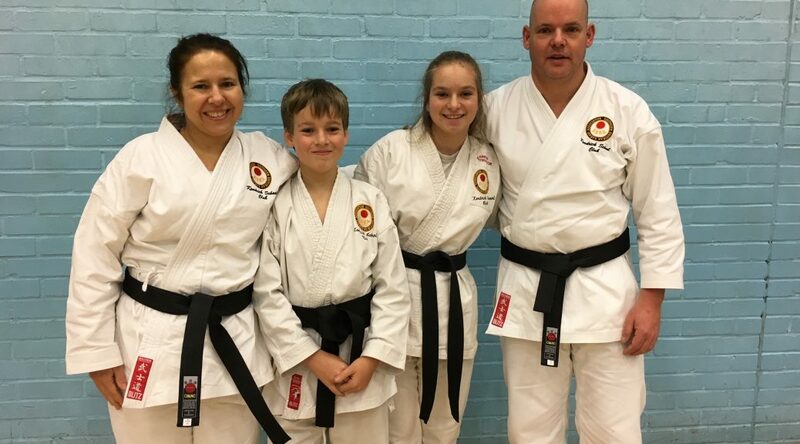 In October 2015 their daughter Yasmin passed her Shodan and in October 2017 passed her Nidan, with son Oscar, Mother Emma and Father James passing their Shodan in 2017, making a full suite of Kuro obi. The initial intention was to enable their children to develop their own self-belief, stamina and confidence. With typical modesty they never truly anticipated that they would ever reach the goal of Shodan, never mind Nidan, as Oscar, Emma and James now aspire to; and with Yasmin training hard for her San Dan their success continues to grow. An additional aspect which has been vital to their success is the amazing group of friends the McCarthy’s have made along the way from a variety of clubs including Reading, Kendrick, Theale, Wokingham, Salisbury and Swindon to name but a few…an unknown benefit at the start of their karate journey.